Right now it just reads as a single page; an about me and where to find me. I decided I'd go with networksolutions.com and use their website builder tool for my .com platform. I don't need family, friends and customers having to worry about the correct use of a hyphen or an underscore. If you can get .com I say go for it however, .net and .me are great options for personal blogs and websites. 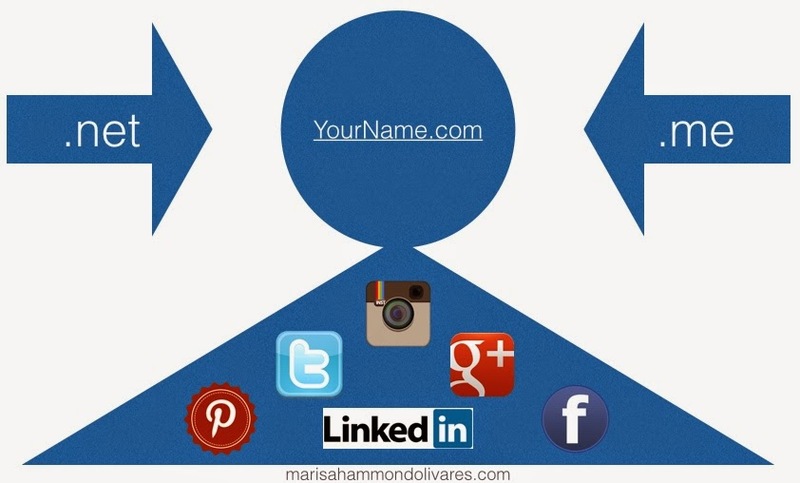 The key is to decide what your online persona is and how you want to juggle your web hats. Do you want to keep your online presence only professional? I certainly hope so. Think of your primary site as the center of your spokes; a bicycle wheel has many spokes and so can your online presence. Each spoke takes you out to your various online platforms and back to you. Why not create a home base with you and your personal .com in the center? Even if you have other websites you still need a bio page with all of your invaluable info. Incidentally, if you opt to secure your name by buying all three (or more) options you could have all of them redirect to the one platform of your choice. Keep it professional and safe; consider your site as a public biography and thumbprint of your professional life. Don't post anything you would not want your boss, co-worker, family or community member reading...or seeing.